What are Sample Boards and How Are They Used? Stone Sample Boards come in a variety of sizes, colors, and dimensions, but all of them have one thing in common: they are designed display “sample” work in a convenient way to potential customers, clients and business partners. Sample boards can be used to display a variety of granite,marble,fabrics, tiles, mosaic,and floor coverings, and can be easily transported for trade shows and other situations that require individuals to be away from their showroom or office. 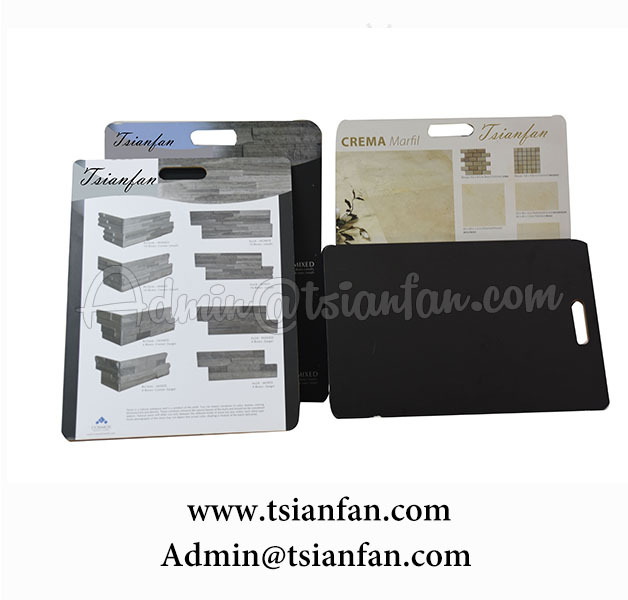 Sample boards are manufactured in a variety of materials, which include PVC,chipboard, medium density fiberboard ( MDF Sample Board), and plastic. They can be customized to display company logos, product descriptions, and other details. Most commonly,those who utilize sample board displays include manufacturers, distributors, architects, builders and retailers of stone,floor, tiles,mosaic and so on. Quality of sample boards can vary greatly, we are committed to manufacturing only the highest-quality products for our customers.we are committed to developing long-term relationship with our customers and distribution partners. More info,please click stonepackingcase.com.Thank you and we look forward to hearing from you soon!